Denia’s delights are around every corner. But it’s easy to forget how gorgeous the Costa Blanca town is when we’re busy getting on with our everyday lives. Now, thanks to local artist Arminda Garcia, we’re invited to take a look at Denia’s landmarks from a different perspective. 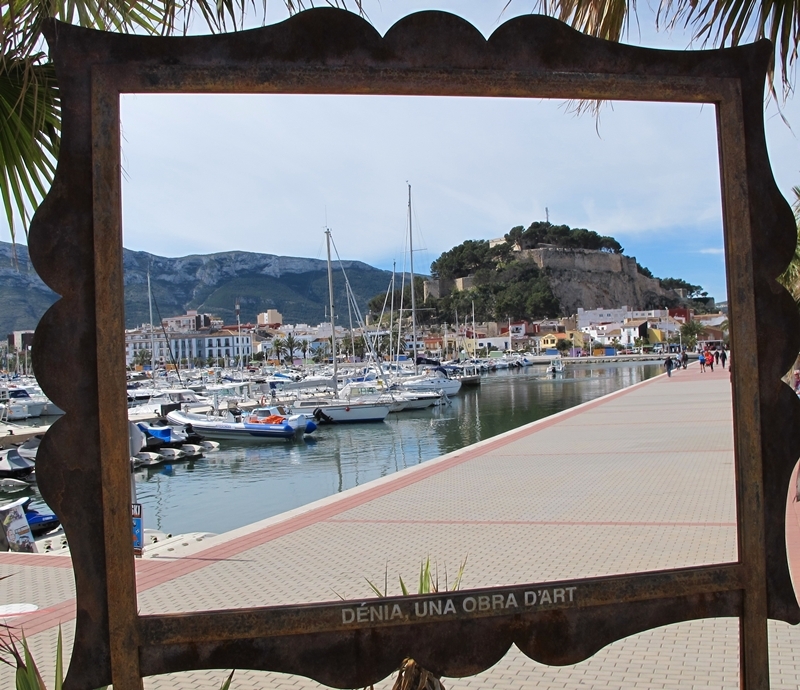 Visitors to Denia Port may have noticed a wooden frame being installed. If you look through it, it puts Denia castle in the frame. 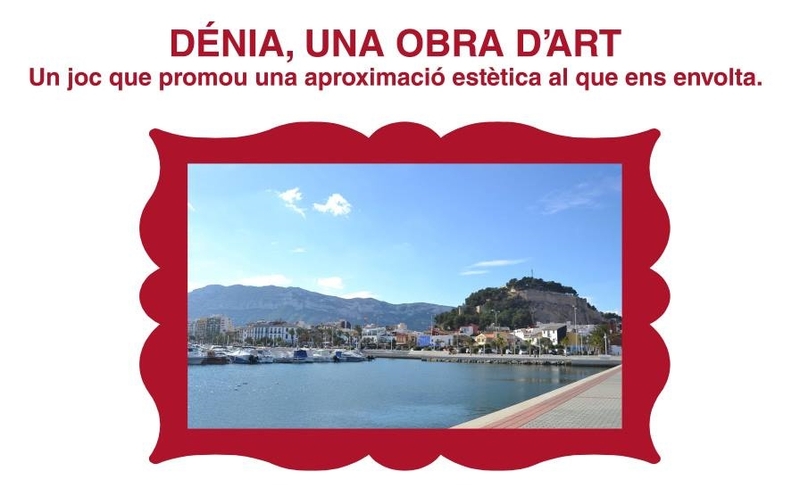 Welcome to Denia, una obra d’art. This project aims to promote the town’s beauty through a series of frames, inviting us to take a fresh look at the scenes which appear through them. The project turns Denia into a work of art. Conversely, it also changes our idea of a work of art being seen on a wall, on canvas or on wood. Instead this is, in effect, an empty frame through which we can see Denia in all her glory. Everything around us can be seen as if it were art, from the landscapes to everyday street scenes. Through this interesting initiative, tourists and residents have a chance to interpret what they see around them and have a deeper appreciation of what makes Denia so very special. "It allows us to free ourselves from the ordinary way of seeing things, to connect with the creative nature of the world," says Arminda. 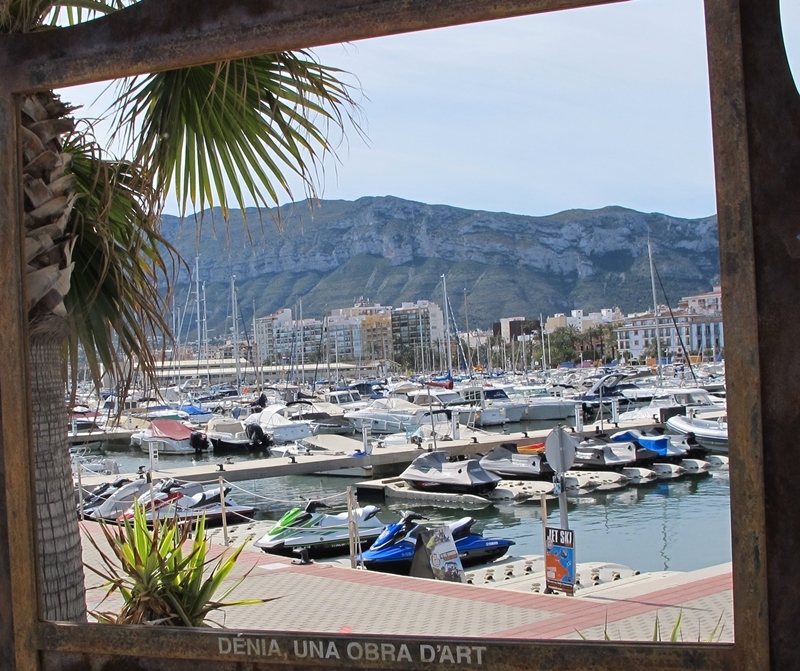 The first two frames can be found at the Marina El Portet and Cova Tallada. Look out for further frames popping up in the streets inviting us to stop for a moment to enjoy what we see around us. As well as giving us the chance to stop and look around at Denia’s landmarks rather than walk on by, it’s also an opportunity to live in the moment. Often we’re so busy thinking about what we need to do that we forget to live in the present. To enjoy what’s around us. In this way, Denia, una obra d’art helps us to be mindful – a kind of street meditation, according to Arminda. For the councillor of culture, Rafa Carrió, this activity "Invites people to contemplate reality and everydayness through the frame as if it were a work of art". In the final phase, the frames will be put in places such as banks to create living portraits, so the residents and tourists become the central protagonists in these works of art.